“In the future, ___ will be done by the crowd.” This sentiment has become ubiquitous among those engaged in the study or promotion of technologies that exploit large, networked groups of people. Though I’m an employment lawyer, not a Silicon Valley entrepreneur or tech pundit, I confess to having expressed my enduring faith in the crowd on a number of occasions. It’s quite seductive to imagine a future in which we solve all our problems through connecting with one another, aggregating our knowledge and our energy. Naturally, a futurist crowd-driven utopia also appeals to those who would look to the crowd as a substitute for – or an extension of – existing methods of production. Crowds can process and generate enormous volumes of data in sophisticated ways, with alarming speed, and at quite low cost. As such, it has become common to view crowds as an exploitable labor pool. Commentators describe the phenomenal capacity of crowds in various ways, including “wisdom” (Surowiecki, 2004), “wealth” (Benkler, 2006), and “surplus” (Shirky, 2010). It boils down to the simple and perhaps self-evident premise that, in the right circumstances, we can get something more or better by sending “the crowd” to do what we would otherwise trust to the state, private enterprise, or individual agents. Yet I find myself wondering whether we spend too much time focusing on the strength of crowds, their ability to cohere, innovate, collaborate, and self-police. Crowds can be incredibly effective in building encyclopedias, developing products, processing data, constructing communities, entertaining themselves and others, and – in some cases – influencing powerful institutions. But we must be careful to avoid confusing the output of a crowd project with the individuals and groups that bring it into being. I would suggest that the very attributes that make crowd members so effective at producing also discourage them from engaging in collective action to protect and empower themselves. A few years ago I began to explore the phenomenon of paid crowdsourcing, in which a group of workers accept and perform tasks on a web-based platform in exchange for compensation from whoever posted the task. I approached it as a legal and industrial curiosity, something that bore little resemblance to any existing labor model. By way of a brief legal detour, our labor laws were designed and enacted with the 19th and 20th century industrial employment relationship in mind. In crowd labor, there is no physical jobsite. Firms and workers connect on software platforms through various independent vendors who exert substantial control over the relationship. The technology of crowd production enables instantaneous contracting and compensation, personalized workspaces, and – most unusually – the integration of work into other online activity, such as gaming or social networking. Instead of the typical one-to-many relationship between employer and employees, crowd work platforms tend to encourage many-to-many relationships, each lasting only a short time. I went about making the case that such activity should be classified as work, and that those who perform it should enjoy the protection of employment and labor law (Felstiner 2011). I was driven by my belief that employment laws should display internal consistency, and should, where possible, avoid falling hopelessly behind the emerging online work models that represent the future of our networked information economy. Those were my scholarly reasons, but I also had practical reasons to advocate for the employment rights of crowd workers. In a nutshell, I have more confidence in their ability to vindicate individual statutory rights than in their ability to exercise collective rights, or even to engage in collective action in any way that would accomplish a fundamental change in their working conditions. Why should this be? If crowds are so collaborative, and generative, and influential, shouldn’t they be able to use that power to improve their own individual and collective position? I believe they can, but they face structural obstacles created and reified by the way crowds are valued, cultivated, and regulated. What Makes a Crowd Valuable? In The Wisdom of Crowds, James Surowiecki identified three factors that make a crowd “wise”: diversity of opinion, independence, and decentralization (Surowiecki, 2004). In this case, “wisdom” refers to the ability of the crowd to outperform experts in solving various kinds of problems. At the core of Surowiecki’s argument lies the presumption that crowds become wiser the more their members behave as individuals. If you need a problem solved, don’t get an expert or build a bureaucracy. Instead, use a wise crowd to aggregate individual judgments and actions into some whole that will be better than the sum of its parts. You get the all the benefits while avoiding the costs and distortions of centralized authority, and the pitfalls of groupthink, bandwagoning, and information cascades. 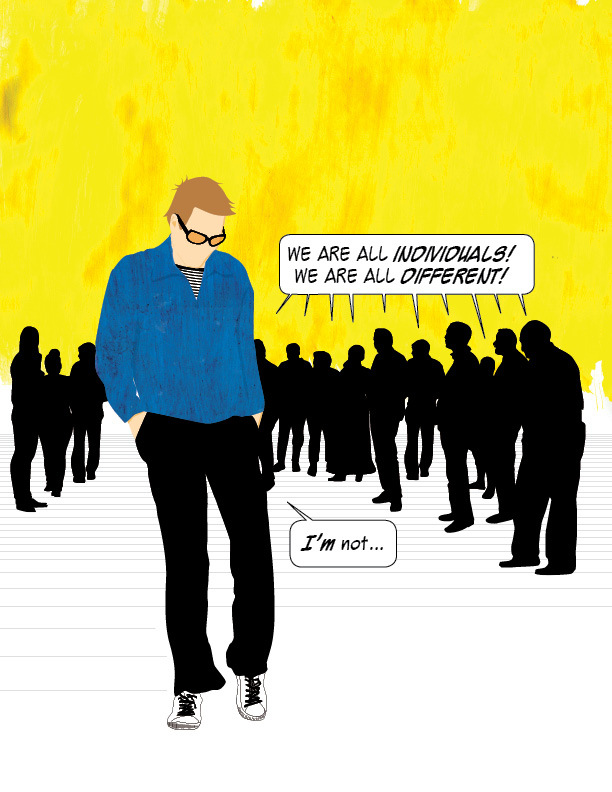 In Surowiecki’s ideal crowd, no one is too influenced by anyone else, too similar, or too connected. Those concerned about the potential for solidarity within the crowd should begin to see some red flags here. Wisdom, or problem solving, is not the only thing we want from crowds. Where productivity is paramount, the wisdom of crowds takes a back seat to their volume and efficiency. Volume allows crowds to produce and process more information, more quickly. Where crowd members are sufficiently independent and diverse, per Surowiecki, a large crowd may also function to smooth out statistical anomalies. However, a crucial element of the voluminous and productive crowd, one that cannot be overstated, is fungibility. In order for a crowd to function as a crowd, rather than a large and unwieldy remote workforce, its members must be interchangeable. Fungibility plays the most prominent role in microtask crowd labor models, such as Amazon’s Mechanical Turk, where large projects are broken down into many small pieces to be performed by any member of a sufficiently large crowd. But a certain amount of fungibility is present in every crowd endeavor, in the sense that productive crowds do not and cannot depend on the contributions of any particular member. Fungibility also makes crowd participation globally accessible, which certainly benefits workers seeking to earn a living through the crowd. In some cases, crowd labor offers a unique way for those in rural or developing areas to participate directly in emerging information economies, after only minimal training, and to be compensated well by their local standard. But it is important to remember that, while virtually anyone can participate, this is true because, under the demands of the crowd labor model, virtually anyone will do. Some of the most ardent crowd evangelists also look beyond problem solving and productivity to the social, political, and cultural value of crowds. Yochai Benkler’s The Wealth of Networks (2006) and Clay Shirky’s Here Comes Everybody (2008) have shaped the modern canonical view of the crowd as a model of democratic participation, an avenue for unfettered cultural expression, and an alternative to the stagnating, institutionalized imperative to consume instead of create. People like Benkler and Shirky seem to value crowds primarily for their potential to transform our social and political life. Non-networked groups of people often fall prey to collective action problems, in which all members would benefit from some action but the cost to each individual is too great for him or her to undertake it alone. Similarly, the cultivators of public goods and creative spaces must usually endure some number free riders. Crowds too may suffer from these complications, but a well-designed crowd space can use technologies of various kinds to lower marginal costs such that free riding and collective action problems will shrink or dissipate. This permits crowd members to create rather than consume, to act outside the market, and to democratically structure their environment free from the influence of established hierarchical institutions. I describe the various ways to “value” the crowd because crowds are less spontaneous than they may appear, and are often (if not always) the product of cultivation, and subject to regulation in some form. Multiplayer video games and crowd work platforms are examples of crowds deliberately cultivated by some preceding actor, usually with an interest in the crowd’s growth and efficacy (however measured). But even crowds that seem to cohere or coalesce on their own will have members cultivating and recruiting others, and usually making some effort to self-regulate. The way we value crowds, our perception of their purpose, informs and guides how we cultivate and regulate them. If we want a “wise” crowd, we will endeavor to institute some version of Suroweicki’s three criteria. If we want an efficient, on-demand, scalable workforce, or if we simply view such a workforce as an ideal opportunity for people with unfavorable alternatives, we will attempt to recreate the crowd dynamics characterized by Mechanical Turk and other microtask crowdsourcing platforms. And, if we are cultivating crowds in order to encourage non-market forms of cultural expression, privilege creation over consumption, or confront established political institutions with a legitimate and effective form of direct democracy, we will be emulating Benkler’s vision of a wealthy network. Suppose it works. What happens then? Frequently, those advocating for the value of crowds – however conceived – are essentially appealing to our notion of agency. In the platonic crowd, membership enables each individual member, and by extension the collective, to maximize agency. Crowd members have the option to participate rather than passively receive, and the option to create rather than consume. They can communicate outside regimented media channels. They can sidestep institutions and existing markets. This is one conception of agency, focused on the actions of crowd members in relation to the “output” of the crowd, and — perhaps — the production process. What about the ability of crowd members to determine the terms of membership? Or the future of a project, or the future of the crowd itself? Shirky characterizes successful crowd communities in terms of “promises” made to potential and existing members, “tools” used to coordinate the crowd, and the “bargains” or expectations of each member as a result of joining (Shirky 2008). How much control can individuals exert over these elements, particularly the “bargain?” Theoretically, these elements should be as susceptible to crowd influence as the crowd’s ultimate “product,” and we might even expect the crowd to determine these elements by necessity as it forms. Yet the things that make a crowd effective can also operate as impediments to collective action. First, there is the problem of exit. Dissatisfied crowd members, like the consumers described in A.O. Hirschman’s Exit, Voice, and Loyalty, are faced with the choice of discontinuing their participation or attempting to improve the crowd by speaking out alongside (or on behalf of) others (Hirschman 1970). Many crowd models expect and depend on turnover, especially those focused on production. When everyone is fungible, and the numbers are so large, why would a crowd member choose voice over exit? The truly discontented, those who would rather leave than continue without some improvement, will look at the sheer size of the available pool, and the interchangeability of its constituents, and recognize the futility of becoming a squeaky wheel. Instead, they will just leave. Second, there is the individual isolation and the dearth of existing institutional organizations. These represent the flipsides of the independence and decentralization so prized by Surowiecki. Collective action does not strictly require interpersonal proximity or available organizational infrastructure, but they can certainly help, and few collective efforts succeed without them. Moreover, when we consciously or unconsciously design a crowd to be “wise,” to avoid the pitfalls of groupthink, bandwagoning, and information cascades, we risk throwing the baby out with the bathwater. After all, preserving independence to avoid groupthink also probably means foreclosing on the possibility of a strong consensus informed by shared deliberations, which is the backbone of an enduring collective effort. Similarly, solidarity represents the other side of the bandwagon effect, in the sense that people feel secure and supported in taking a stand when they know that others are doing the same. If we cultivate and regulate crowds to ensure that the decisions of one member have little impact on another, the potential for solidarity and consensus can disappear. Finally, the typical crowd environment may ease collective action problems in some cases while exacerbating them in others. For example, crowd workers could employ collective action to improve their jobs and protect their interests by organizing themselves to accept no tasks below a certain wage floor, or by establishing mutual aid organizations (essentially unions) to train employees, provide certain benefits, and advocate on behalf of clickworkers to industry and government. Unfortunately, on a work platform such as Mechanical Turk, the volume and fungibility of the labor pool makes a wage floor campaign essentially fruitless and prohibitively risky. There will always be someone else available, equally qualified, and willing to work below the wage floor, because a global labor pool is always available and the requirements to join it remain quite low. These elements are built into the labor model, so crowd workers cannot create and leverage artificial scarcity. A mutual aid organization is slightly more plausible, especially on platforms that already encourage and make space for collaboration. Those could become solidarity spaces, though the efficacy of such organizations might end up roughly proportional to the percentage of the crowd they could legitimately claim to represent. I am speaking here in broad and fairly abstract terms. Certain smaller crowds, or influential subgroups within crowds, will doubtless prove quite effective at expressing their collective will and achieving results. And conversely, some of those who establish crowd spaces and cultivate crowds may decide to foster collective action instead of chasing wisdom or productivity. They may decide that the value of an empowered collective outweighs the need to beat the experts and underbid the outsourcing subcontractors. However, I expect such projects will prove few and far between, given the strong financial incentive to do otherwise. The market for crowd production will continue to pursue the platonic ideal of an infallible, hyper-efficient, diverse, independent, decentralized crowd. When this happens we must recognize that the same things that make a crowd strong can also make it weak. Felstiner, Alek. 2011.“Working the Crowd: Employment and Labor Law in the Crowdsourcing Industry,” Berkeley Journal of Employment & Labor Law, 32(1), 143-204. Hirschman, A.O.. 1970. Exit, Voice and Loyalty. Cambridge, MA: Harvard University Press. Surowiecki, James. 2004. The Wisdom of Crowds: Why the Many Are Smarter Than the Few and How Collective Wisdom Shapes Business, Economies, Societies and Nations. New York: Doubleday/Anchor.